This vibrant and growing congregation in Northern Virginia had a sprawling complex that had been built over the last 25 years. 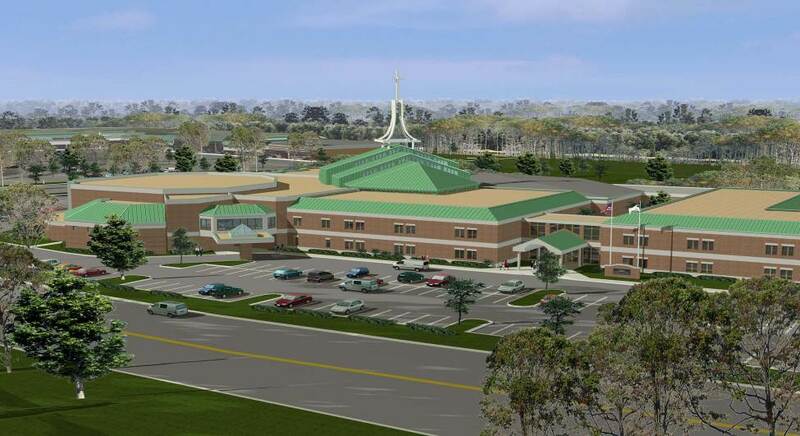 Site and zoning constraints meant that the church could not increase its footprint on the property, yet they were in need of additional space for their congregation and their 450-student private school. Helbing Lipp Recny Architects developed a creative solution by designing two additions over existing single story classroom wings, enlarging the existing foyer/narthex within the building, and enclosing an open courtyard, creating a large central atrium. The 7500 square foot atrium is used for gathering, performances, and church services, and is topped with dynamic glazing that darkens electronically, and a soaring metal steeple that gives a strong statement to the entire complex.